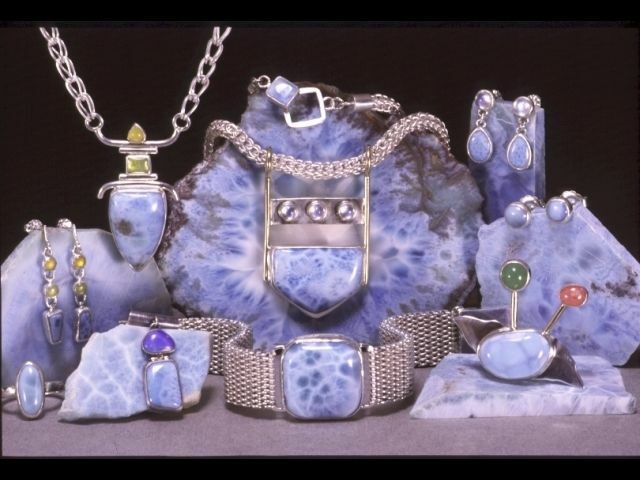 When I began doing my own lapidary work in 1999, I thought "Wow, now I have the freedom to design without the limits of what stones I can purchase". A year later, what I discovered was that I was still creating my designs around the stones. There's a good reason for this; the power of the designs were coming from the stones themselves. It's through listening to the stones and the subtle variations of each one that jewelry designs really come alive. You don't need to be a lapidary to design with stones. There's no one way to learn design, it just requires being open to new ideas and imagery. What stones speak to you? You already experience this when you go to gem shows or look through catalogs and certain stones leap out and you have to have them. You've already started the design process.